Free shipping on hundreds of combinations of rackmount LCD monitor keyboard combination drawers. 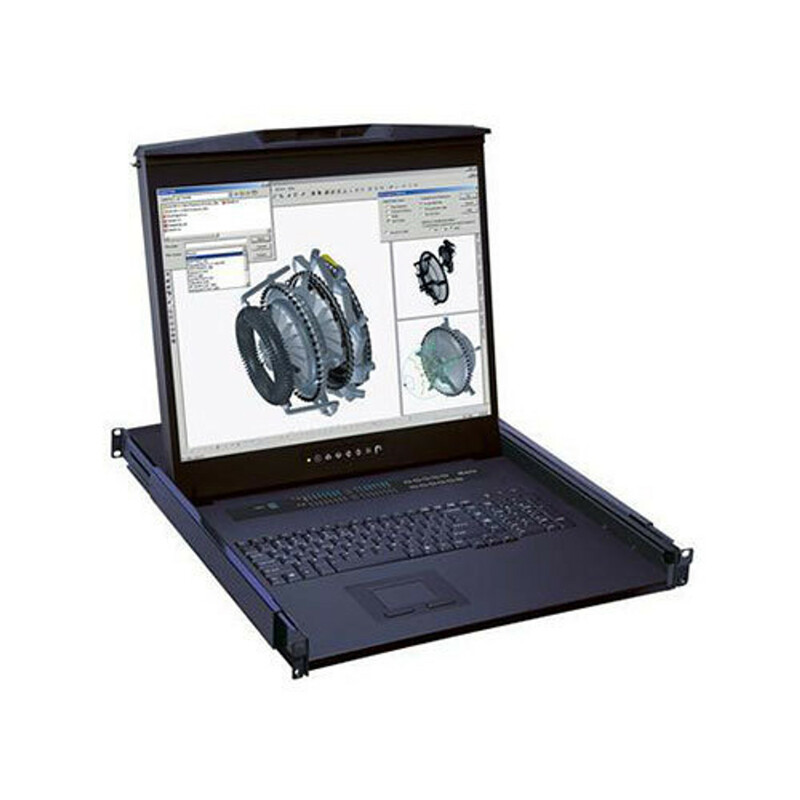 Select from 17“, 19“, 20“ and 19“ widescreen server rack monitor versions. Single slide and dual slide rackmount LCD monitor options are available with your choice of trackball or touchpad mouse. Optional 8, 16, and 32 port rackmount KVM switch available with combo interface and DVI-D, Matrix, PS2 or USB inputs. Connector choices include Cat 6, DB-15 and DVI-D. Available with 2, 3, 4, and 8 consoles, with local, remote or IP connectivity. There are too many rackmount KVM swtich combinations to show all products available. Shop our kvm switches online or call your account manager for a quote and to purchase exactly what you need. Toll free 1-800-962-2576 or emails sales@serverrack.com. Free shipping on rackmount LCD monitor or rackmount KVM switch cannot be combined with any other discounts.